We have 3 runners in addition to a Barrier Trial at Scottsville Racecourse, on Wednesday 16th January 2019. All of UNCLE CHARLIE, MOCHA ROSE and HONEST PRINCE represent the Hollywood Syndicate and we are hoping for at least one winner. See more about their respective chances here. Purchased at the November 2018 CTS Ready to Run Sale, we are excited to get this Elusive Fort colt going. The 800m will inevitably be a touch on the sharp side for him, but he should benefit immensely from the experience and it will help strengthen him up for his first official start soon thereafter. This is his peak run and his conditioner couldn’t have him in a better place for this outing. The formline in his latest effort also points towards him being the one to beat in this field, with Mr Greenlight (1st) and Iron Born (4th) both coming out and winning since that run. Anton Marcus retains the ride and we make him a big runner with a strong winning chance. 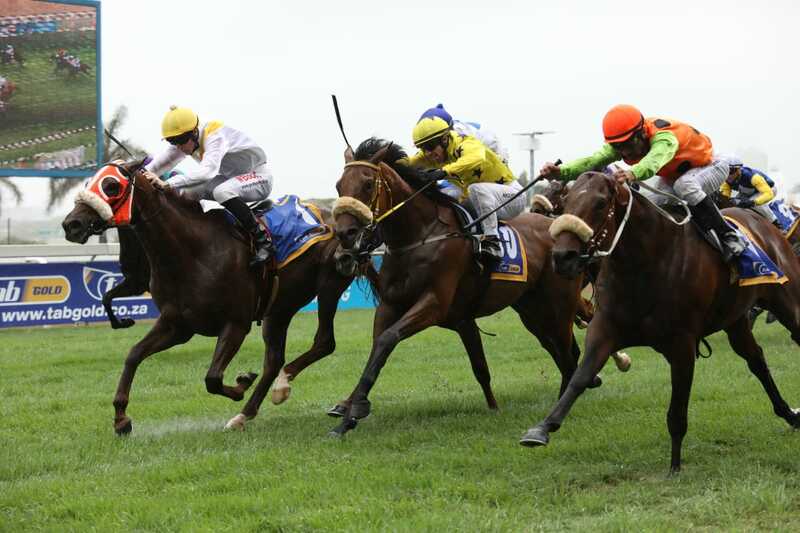 The dangers that we have flagged are the Willem Nel trained “Catch The Devil” who has scope to improve after finishing just behind Uncle Charlie last time out, and the nicely bred first timer (First Call) from the Duncan Howells yard. Winning Form Comment: 3rd run after a rest. Promising form, 4th placed runner of last start won since, respect. She returns to the same track and trip where she broke the maidens 3 runs ago. Her post maiden efforts however, have been slightly disappointing but she has a much improved draw to work with this time around and the drop in trip will also work in her favour. She has also dropped 5 points in the ratings, which is significant enough to bring her into this handicap with a fair shout at the winners enclosure. Duncan Howells has her much fitter this time around and she is also in a great space within herself at this current time. He predicts a first 4 finish. Winning Form Comment: 2nd run after a rest. Moderate in first two handicap attempts, but drop in trip suits. He is holding form well of late and this 1400m attempt has been a long time coming. Unfortunately a decent draw has eluded us, but this time around he cracks draw 7 from the 1400m and that is good enough to give him a fair shout. His racing style should suit the extra furlong as he always travels well and just takes a while to get going over the shorter trips. The race is obviously wide open with the likes of Washington Square (down in ratings), Mashari (well bred and full of scope) and Epic Sword (holding form well) all with chances. That’s said, we think Honest Prince will put in another game effort and cannot be discounted. We give him a fair each way chance. Winning Form Comment: Holding form, won maiden over this trip. Include. Hi Azmath, I will add your email address to our newsletter which gets sent every Monday and Thursday. You will then get the tips in your email, as well as other info on upcoming horse racing!